Spice cake is one of those flavors that you start to crave when leaves turn orange. Cinnamon seems to be the first spice you think of when you turn your calendar page on October 1st. Enjoy the last warm afternoons, when the sunshine hits the orange – red leaves and makes your backyard glow in Fall colors. Enjoy them with your loved ones. 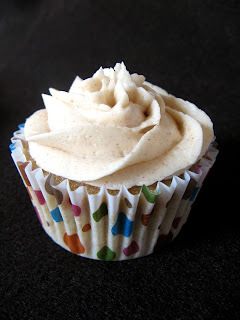 Enjoy them with spice cupcakes topped with cinnamon buttercream. Let your butter and eggs stand in room temperature for at least 30 minutes. 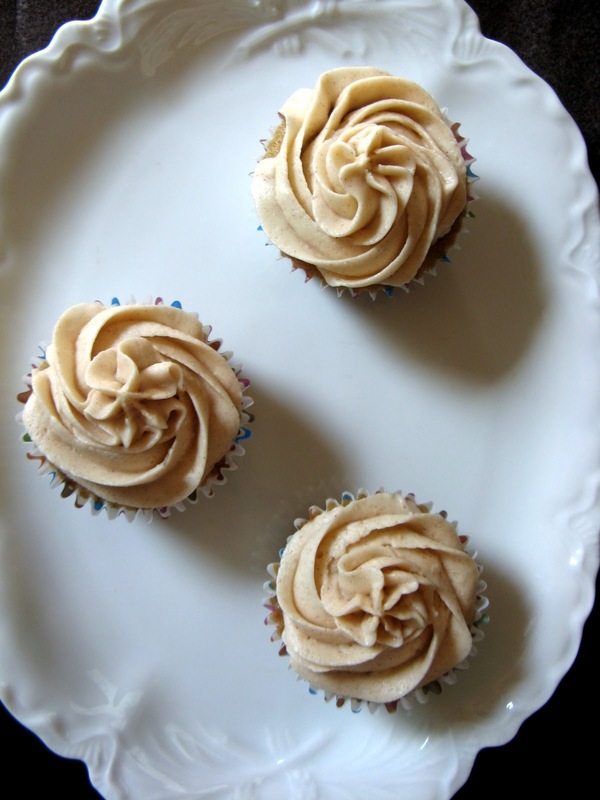 Line your cupcake pan with paper liners. Set aside. Preheat your oven to 350 degrees F.
In a bowl, whisk together dry ingredients: flour, baking powder, cinnamon, baking soda, nutmeg, cloves and ginger. Set aside. I am mixing bowl, beat butter and shortening until light and fluffy. Add sugar and vanilla. Beat all until combined. Add eggs, one at a time. Beat well after each addition. Add the dry ingredients, alternating with buttermilk. Make sure you start and finish with the flour mixture. Fill your cupcake liners 2/3 full. 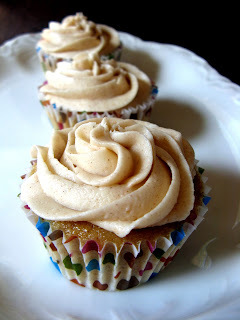 Bake for about 20 minutes or until a toothpick inserted in the center of each cupcake comes out clean. Cool the cupcakes in the pan for a minute or two, then place on wire rack to cool completely. 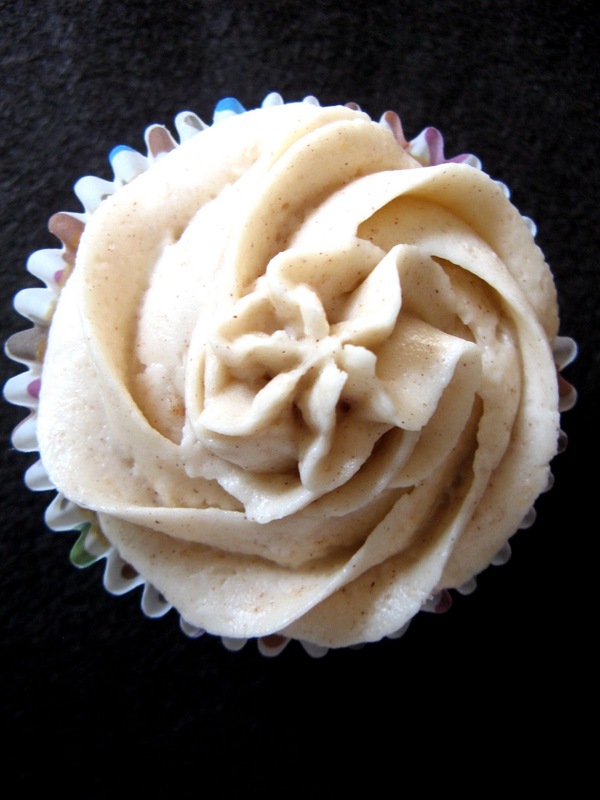 Frost with the cinnamon buttercream. I used Wilton’s tip 1M to decorate the cupcakes. Tip: To make sour milk: place 1 tbsp of lemon juice or vinegar in a clean glass measuring cup. Add enough milk to make 1 cup total. Stir. Let stand for 5 minutes before using. Cream shortening and butter with electric mixer. Add vanilla. Mix to combine. Add sugar, 1/2 cup at a time. Beat well after each addition. Add milk and beat until buttercream is light and fluffy. Add cinnamon. Whip until combined. Keep covered with a damp cloth until you are ready to use it. Keep refrigerated in airtight container for up to 2 weeks. Whip for a couple of minutes before using. 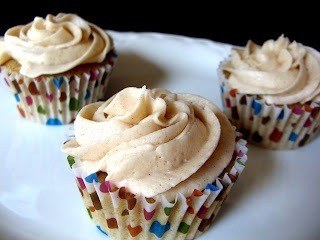 These are so nice cupcakes! 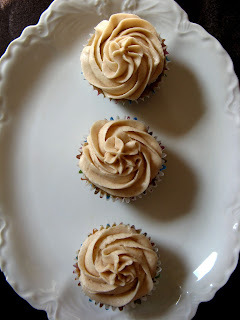 I would really like to showcase this recipe on my cupcake recipes and ideas blog if you agree. Oh, my goodness!! These cupcakes look just perfect. And cinnamon buttercream?? Yes please!!! You now have my mouth watering! Those look delish!